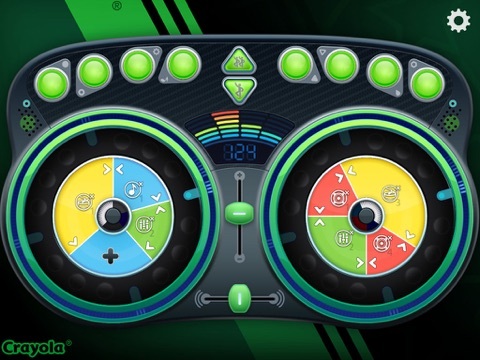 It's time for a dance party with Crayola DJ where kids put their DJ skills to the test as they mix tracks and sound effects to create sweet beats. Do you have a budding DJ or music lover in your house? 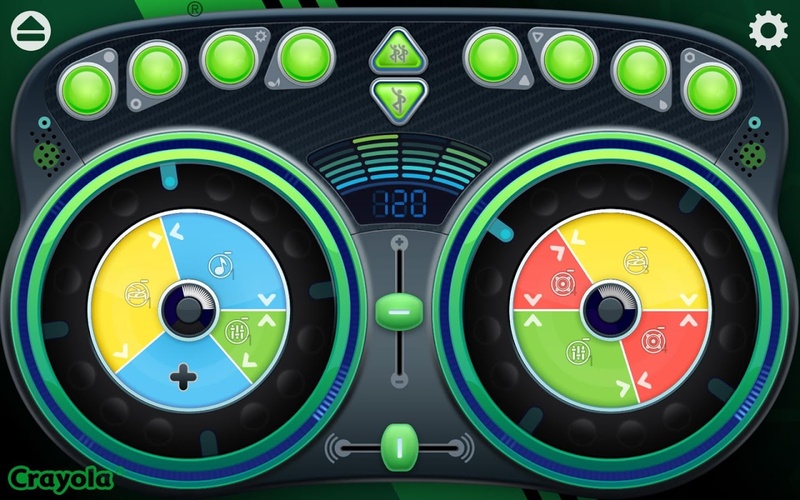 If so, check out Crayola DJ, a fun music app that gives kids a chance to put their DJing skills to the test. 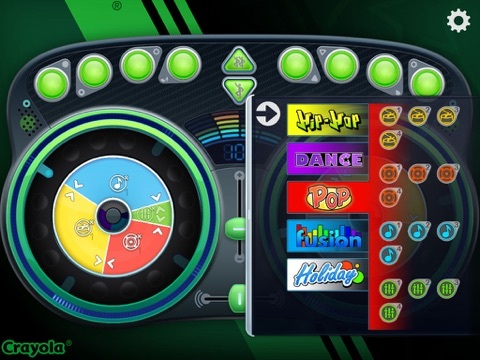 Kids can mix tracks from different genres, including Hip Hop, Fusion, and Holiday, with fun sound effects to create some club-worthy beats. They can also take their skills to a dance party where they compete solo or against a friend to see who has the top beat-making skills. 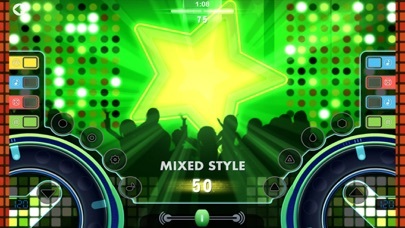 While the goal of the dance party is to earn points by performing different tricks and mixing unique sounds, kids have free reign to create the kinds of beats they want to hear. Two turntables and a bunch of buttons greet kids when they first open Crayola DJ. While they’ll be able to pick out some beats and find a way to make a bunch of noise from the start, they will want to tap on the settings icon and opt to begin the tutorial to really understand how the app works. Once kids know how to navigate the app’s features, they’ll find that they all work fairly well. 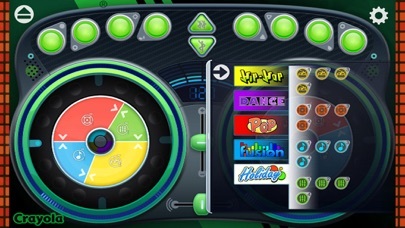 Each turntable focuses on a different type of track and kids can add multiple tracks to each turntable. They can also add sound effects on top of the tracks. Kids will want to test out all of the sound effects and tracks individually before getting too far into the mixing process as it can be hard to hear some of the subtle sounds when a bunch of them are playing at the same time. When it comes to the dance party game, kids are given a set period of time to try and score as many points as possible. 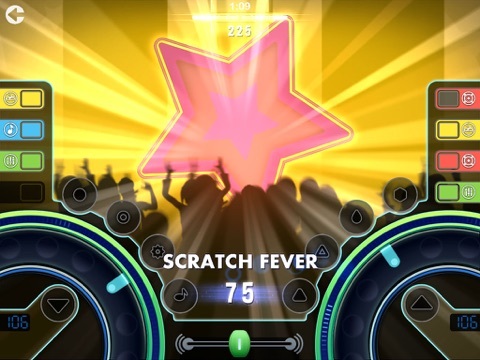 It’s not immediately clear how kids earn points during the dance party which can lead to a bit of frustration, but most kids will focus more on creating and recording a fun beat than actually trying to set a high score in the game. Parents should break out their ear plugs because kids will be playing a lot of loud, upbeat music as they interact with Crayola DJ. Some of their beats will be surprisingly catchy while others will be incredibly jarring. What’s most important though is that kids will have a lot of fun mixing tracks with sound effects to create their own musical masterpieces. 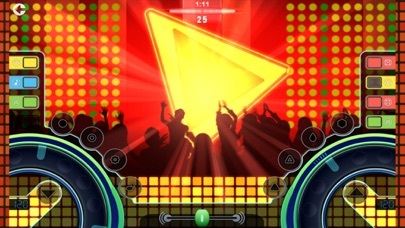 During the dance party, kids can record their beats and save them to play back later. 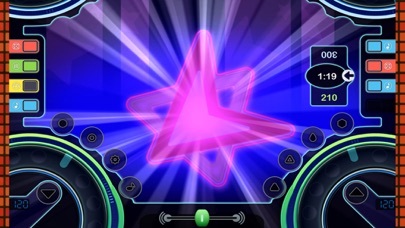 Those that choose to play the game aspect of the dance party may become a bit frustrated though since figuring out how to earn points can be a bit difficult. 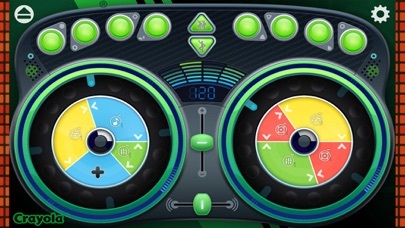 Considering all kids can do is mix tracks to create beats, the price of the app is a bit high. However, the app offers appeal to a wide range of kids, from early to upper elementary school, making it a good choice for families with kids of multiple ages. 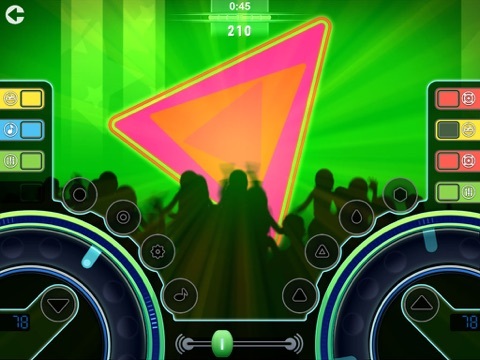 With its peppy beats and dance parties, the app definitely trends a bit older. 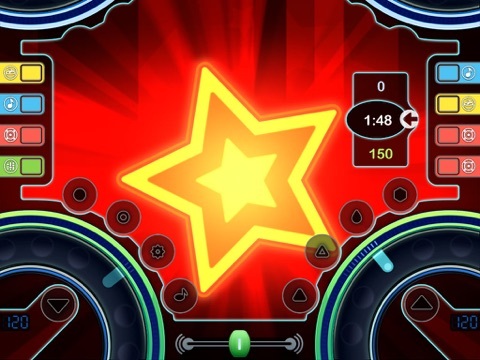 All of the graphics and sounds are appropriate for kids of any age, but parents may not want younger kids to experience the club vibe in the app until they are a little older. The app also contains a protected parent info section and a protected “rate us” icon, both contained within the settings.